Who doesn’t love a clean bathroom? I know I do. 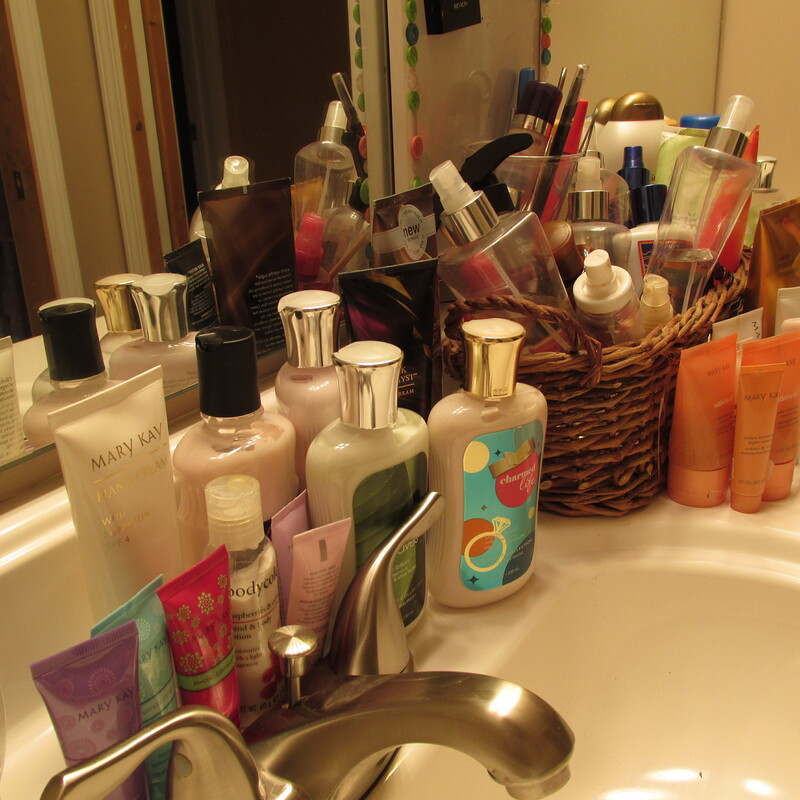 But I made a scary discovery… maybe my bathroom isn’t as clean as I originally thought. In those bottles and tubes are chemicals and ingredients that are absorbed into our bodies with each application. So what are our bodies absorbing? I made a list of a few ingredients that are biggies on the naughty list. There are plenty more, but for the sake of simplicity we’ll start with just 3. I then read each and every label on these containers and counted how many times I saw these ingredients used. What is “fragrance”, or “parfum”? Well, this is a scary one because the truth is we don’t know! The FDA doesn’t require the cosmetic companies to list exactly what is included in the fragrance. While there are very healthy and beneficial fragrances contained in nature, it is rare that cosmetic companies are willing to pay the money for these real scents. Instead we are given a concoction of chemicals intended to resemble the real fragrance. More often than not chemicals used in these scents are phthalates. Phthalates are hormone disrupters that can cause a plethora of health problems from sperm production to abnormal genitalia development in babies. 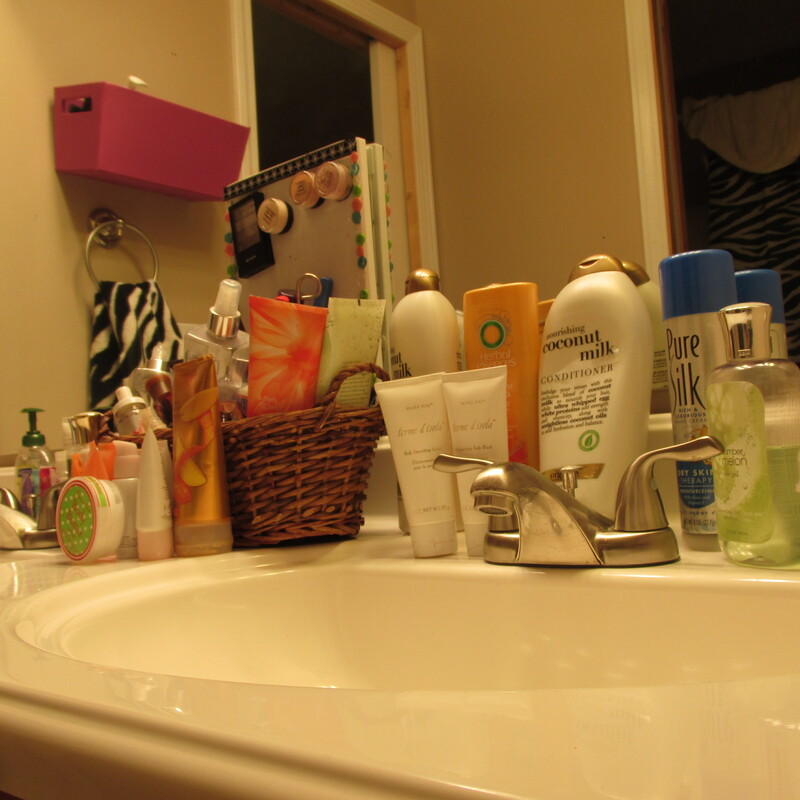 Women and babies should be particularly wary of phthalates. Now do you wonder why perfume shops always leave you with a headache? So, what was my fragrance/parfum count in my label reading? 44. Yes. In somewhere between 45-50 labels I read, 44 of them contained unspecified fragrances. Mineral oil/petrolatum is a byproduct of the distillation of gasoline from crude oil. Grossed out yet? I am. So why is it in all our products? Simple; because it’s cheap. In fact, it is cheaper to sell us mineral oil in to slather on our skin than it is to dispose of it. So, folks… it appears the cosmetic industry views us as human trash cans. What is really dangerous about mineral oil is the fact that it is foreign to the body and it is very difficult for the skin to absorb. Instead, it creates a barrier on the skin which prevents toxins from being able to escape. Once it is finally absorbed it continues to cause chaos as it travels through the liver and intestinal track, absorbing all the fat-soluble vitamins thus causing deficiencies. It literally travels through your body and steals your health. Now, what’s really scary? Mineral oil is most prevalent in skin products for babies. My count on mineral oil: 7 of my products had mineral oil listed in the ingredients, and 17 listed petrolatum. Sulfates are becoming increasingly less popular as more information is revealed about them. Sodium Laurel Sulfate and the cousins to this ingredient are surrounded by a large amount of controversy, but my opinion is better to be safe than sorry. A surfactant, SLS is what is responsible for the luxurious bubbles when you scrub your hair, skin, and teeth. It is also responsible for scrubbing off all the natural oils your body produces and over drying skin in hair, causing your body to overproduce oil trying to make up for the dryness, resulting in greasy skin and hair, leading you to reach back for the bottle of SLS to scrub it off again. There are more gentle forms of cleansing that don’t dry the skin and hair so drastically and work with your body’s oil production, rather than against it. There is also speculation of the carcinogenic nature of SLS. I only had a few soaps in my product collection, but among the small amount I had the count was up to 4. So there is my starting point. I hope you stick with me as I embark on a journey to transition from man-made chemical products to God-made natural products. Next postMy Favorite EVERYTHING Cleaner! !